Since the day I started watching Youtube videos, someone has always been talking about the Smashbox Primers, and I got my fair share of the cute minis from the It's Your Prime set this Christmas. It contains 3 of their primers, 2 well-loved staples, and one new release. I'll give you the low down on the trio. Photo Finish Foundation Primer: This is the one that everyone talks about, but also the one which some people don't like. I'm fairly sure it is silicon based, which breaks out a handful of people, but I am yet to experience that *touches wooden desk*. For me, I wouldn't say this dramatically increases the longevity of my makeup, just more so helps it wear off more evenly, so I don't have any weird marks where it settles. Photo Finish Hydrating Under Eye Primer: This was the exciting newly released one, which isn't like many others on the market. This primes the under eye area, in order to prevent concealer creasing or drying out too much. I do really like this, and I find that concealer does apply and wear much better on top. Photo Finish Lid Primer: For some reason, I am a lover of eye primers and I always want to buy more. This one though, makes me want to buy the full size (maybe my purse wouldn't agree). This is a lid primer which mattifies the surface, smooths, and blanks any colour out, and creates the perfect base for shadows. I definitely find that this guy makes my eye makeup wear for so much longer, without any signs of creasing. I am using this sparingly, because the pot is so diddy, and I love this stuff. Maybe I will fork out the £15 for a repurchase one day. So, I am sitting on the fence with some, and totally smitten by others, but who would say no to cute little minis like these? 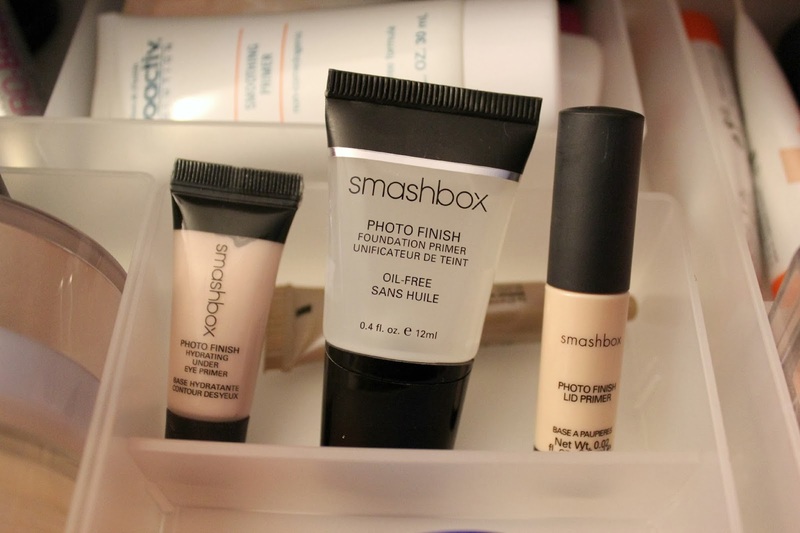 I need to try these primers great review! I really need to pick these up!